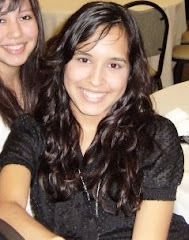 This week I have a social media audit project due in my Social Media for Public Relations course. We were provided with a list of ideas and tool we could use for this assignment. Here are some really great tool you could use if you wanted to monitor a company/brand/person/event etc. 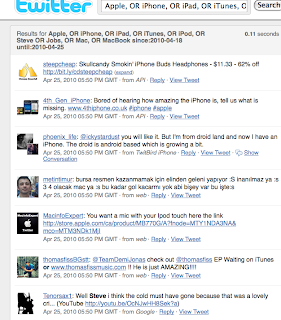 First of all Google Reader is an essential social bookmarking tool. It is a place were you can send all the information from all your monitoring tools through RSS feeds and keep it organized and compressed. I use Google reader on a day to day basis. 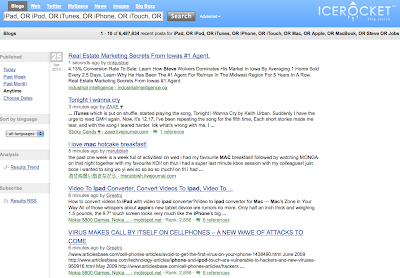 Google Alerts tracks the Web for Sites, Blogs, News, Microblogs, videos, and Images. For this project, I created a Google Alert for any of the above having to do with iPad, iPod, iPhone, iTouch, iTunes, Mac, MacBook, and/or Steve Jobs. The Alerts will be sent directly to my Google Reader as-they-happen. 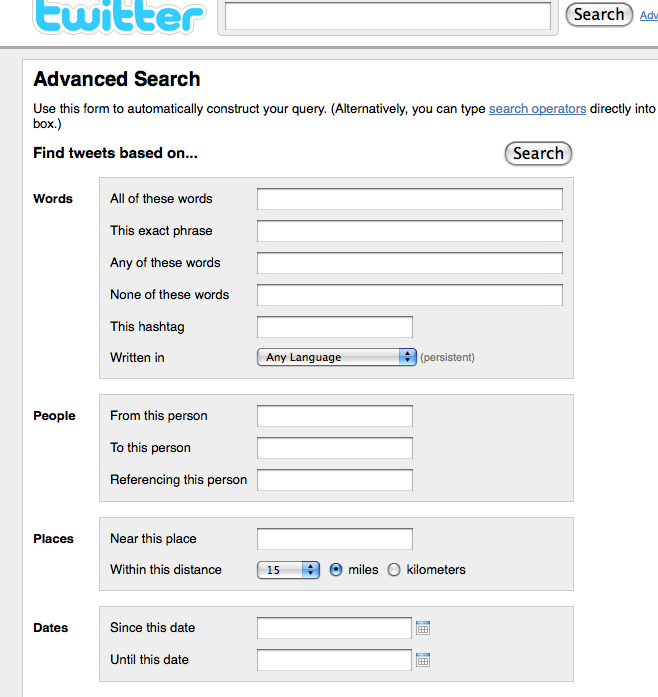 Twitter Advanced Search gives the option to find tweets based on words, phrases, hashtags, people, places and attitudes. 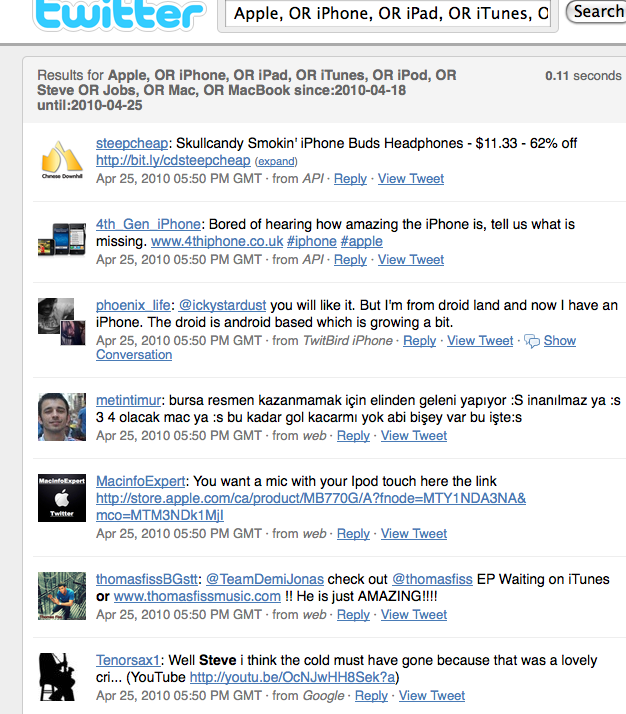 You can also RSS Feed these results, which of course I did. I highly recommend you do as well. 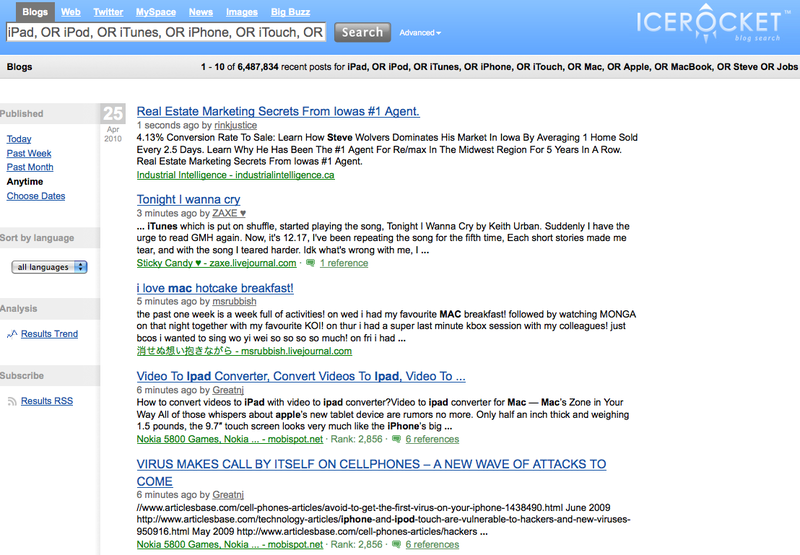 This search also provides 'in real time' results like Google Alerts. IceRocket provides you with the option of viewing results from today, the past week, month or you can choose dates yourself. It has RSS feed capability as well as the others. There are many more site like: Social Mention, BoardTracker, Delicious, Yahoo Pipes, etc. You can also monitor the subject of your choice on Facebook and Myspace. The point of all this monitoring is basically to research and see what other people are saying and reporting on your topic. 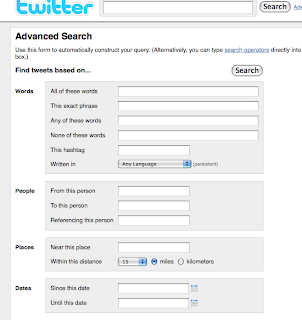 It is a very helpful research tool, essential for social media savvy university students like me!